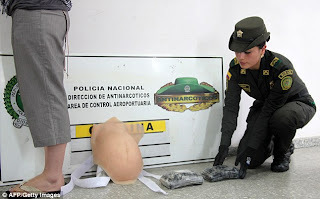 A Toronto woman who simulated pregnancy to try to smuggle 2 kilograms of cocaine was arrested today at Bogota airport by Colombian police.Col. Tabitha Leah Ritchie, 28, was stopped while trying to board an Air Canada flight in Bogota after an inspector noted that her belly was unusually cold and hard. 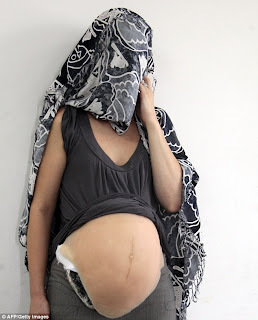 The police discovered a false belly made of latex taped to her body and they found 2 kilograms (4.4 pounds) of cocaine. Police say Ritchie arrived in Colombia on Aug. 6 and he identified her as a social worker.The Canadian Embassy did not respond to requests for details. 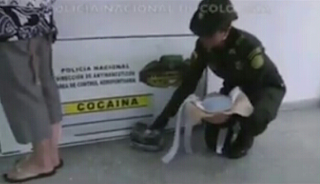 Colombian officials say 874 foreigners are held in the country's lockups, most on drug charges. Things people do for money and how did the police now? Was he grabbing and touching her?